Some of you have correctly observed that I am presenting more recipes of late than eatery reviews. Well, this is partly because my dining out budget this month has been donated to the Red Cross for Sichuan and Myanmar. So I'm cooking more at home the past couple of weeks instead of eating out. One last recipe for this month, and justly, it's a dessert. Yet another gem adapted from Nigella Express! A much, much easier method for making ice cream that yields a creamier texture than my first experiment (the chendol ice cream). In Nigella's words, "you don't make a custard and you don’t have to keep whipping it out of the deep freeze to beat the crystals out of it." It can't get any easier than this. And still no ice cream maker required! Her original recipe calls for pomegranate which is a lovely idea for ice-cream (you can see the recipe and video at the link). But as the pomegranates in my local supermarket look less than luscious, I adapted the recipe for something else I'd been wanting to make - rum and raisin ice cream. It worked, and the ice cream was a godsend during the blazing hot weather we had last week. 1. 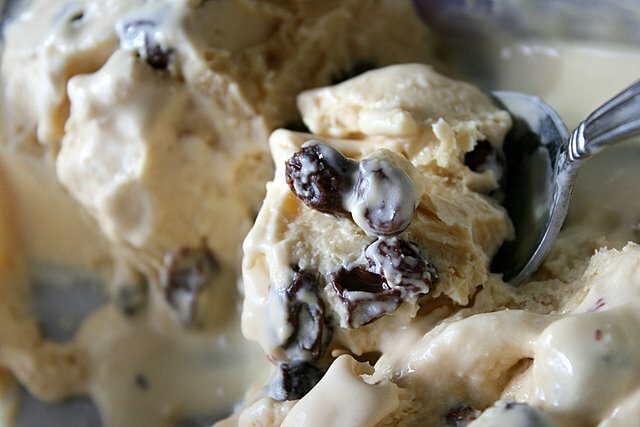 Soak raisins in rum for a few hours or overnight if you wish. 2. Strain raisins (keep them aside) and pour the remaining rum into a large bowl filled with the icing sugar and mix well. 3. Whisk in the cream and keep whisking until soft peaks form. This is the only tiring part. Maybe an electric mixer or handheld blender with whisk attachment helps. Being lazy, I gave up my manual whisking after ten minutes but the ice cream still turned out still fine. 4. Fold in the raisins. Note: you may get a lighter colour than what's shown above, as I used enough rum (1 whole cup!) to make you fail breathalyzer tests! Sometimes I don't know whether I should blog bad food or not. Do people want to know or perhaps be prewarned about places which serve food that isn't great? Or do you just want to "see only the good stuff"? Maybe I should start a poll and see what you all prefer. 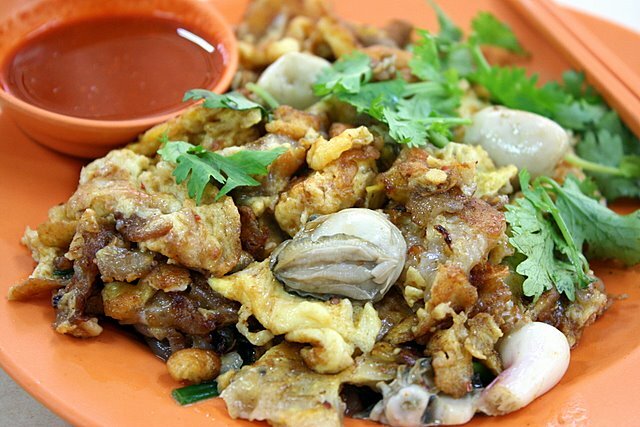 OK, this oyster omelette (S$3) is from Soon Lee at Haig Road. 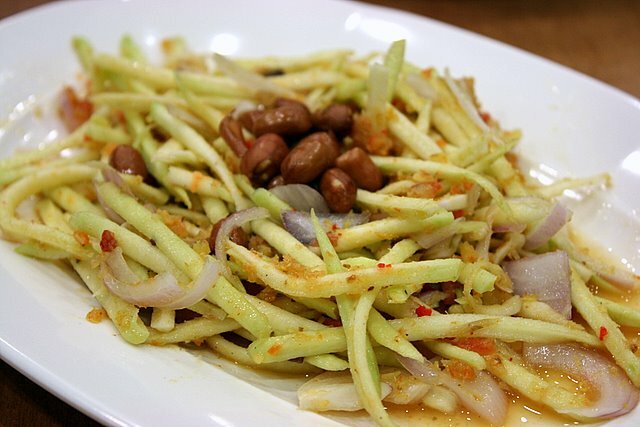 It's recommended in the Makansutra guide as one of the better ones. Unfortunately, what I had was far from satisfying. The omelette was not crispy and the flour bits not gooey (in fact, they were cooked through solid). It had a mix of large and small oysters but these were also overcooked. I regretted coming out to try this dish but I was rewarded by this peculiar sight. 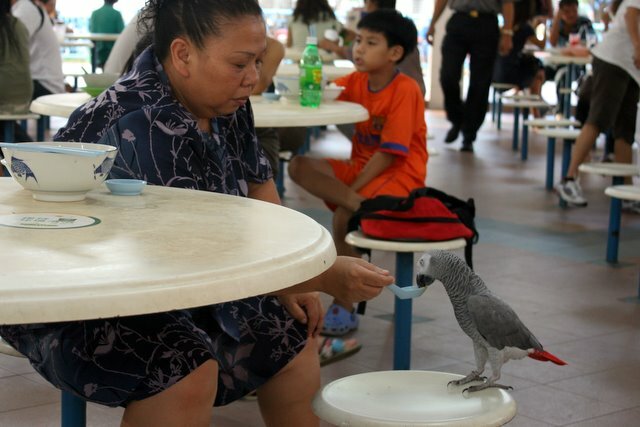 A woman was seated at the next table, steadfastly feeding her pet parakeet some porridge - hmm, wonder if it was CHICKEN porridge! The bird was untethered and extremely tame. I couldn't help staring, and I couldn't help taking a shot too. 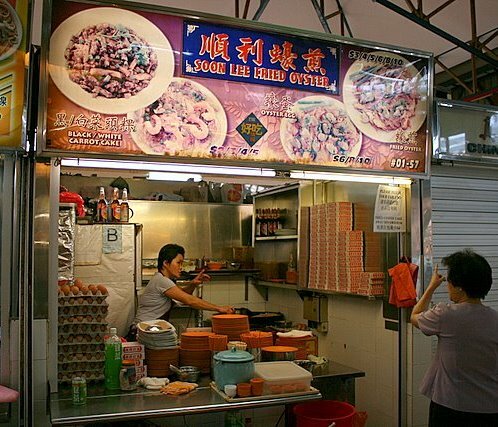 Hubby thinks ALL street food in Singapore is unequivocably bad. He does not deem it worthwhile traipsing all over to uncover hidden gems. 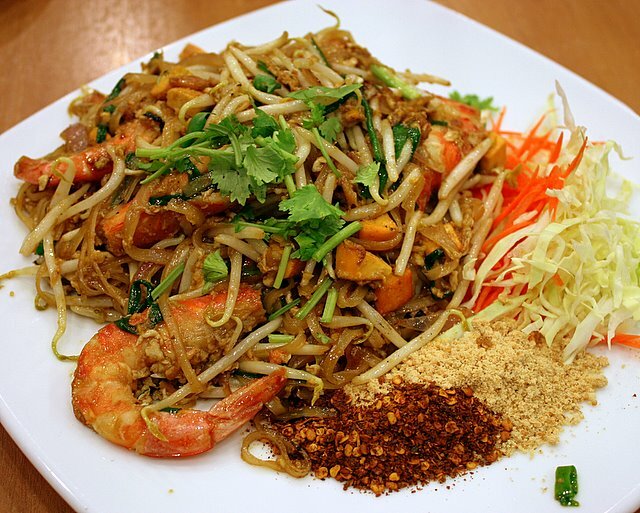 Hawkers are squeezed on all sides by rising rentals, labour and food costs, so it is tough to come up with decent food consistently at competitive prices. I still harbour hopes of good hawker discoveries but I, too, am beginning to agree, these will be harder and harder to find. 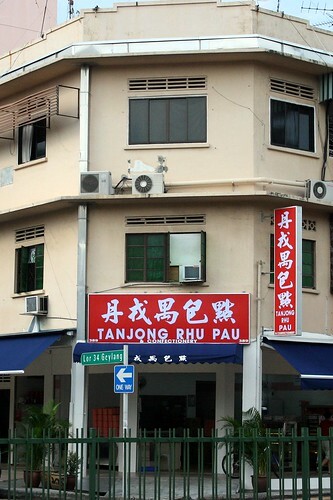 Spotted the Geylang branch of Tanjung Rhu Pao which looked quite new. 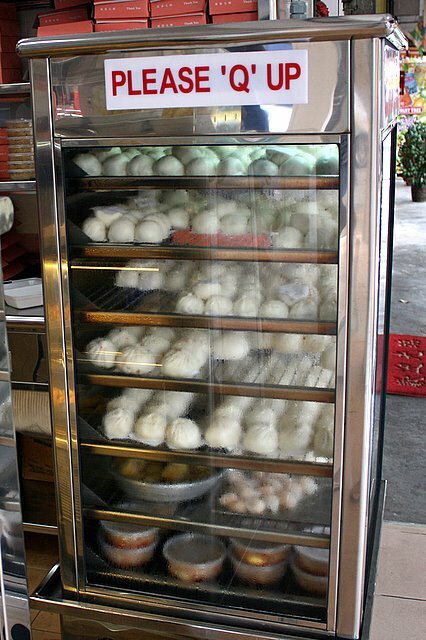 It's a small, spartan corner shop with just one display case for baked goods (above) and one standing multi-tier bao steamer rack (below). Two rather surly aunties guarded the place. I don't know why but the prices seemed a bit prohibitive. 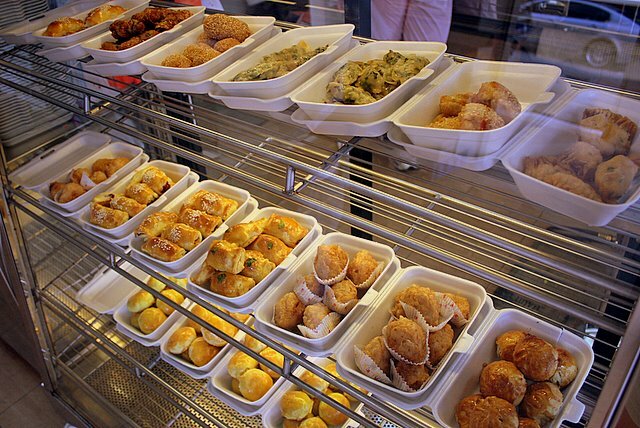 The fried/baked items here range from 70 cents to S$1.70 each. Maybe I didn't like those aunties or the feel of the place just cheapened the goods. The famous char siew baos here are golf-ball sized and easily gone in two bites (for some, maybe just one). 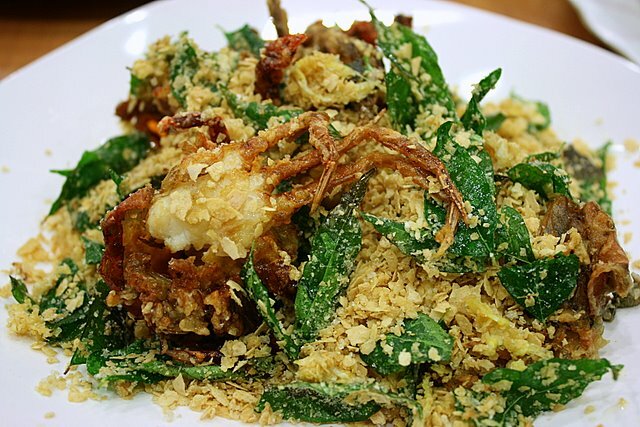 They've become a cult favourite among Singaporeans. I remember my former colleague used to bring dozens to the office. Sure, they're reasonably tasty (although very much on the sweet side), but is it worth 50 cents each? I'm not sure. When I googled the address for this branch, the results came up as "351 Geylang Road (Lor 2)" but this shop is located at the junction of Geylang Lor 34 with Guillemard Road, facing Chung Cheng High School. Maybe they moved here recently. At any rate, business seemed quite good. A steady stream of people popped in and out on a weekday afternoon. Despite the prices, people will still come for what they deem to be reputable snacks. My friend is back from Sichuan, China. He wrote a moving account of his experience there, on his blog. I just have to share it. To have been there like this changes you as a person forever. It's a pity he lost his camera while there, but he showed me some photos from fellow Red Cross volunteers. 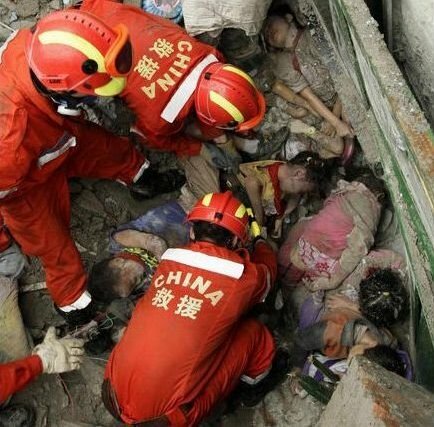 This one made me the saddest - rescue workers unearthing bodies of young primary school children buried in the rubble. Their parents were there too, crying and wailing to the heavens in palpable grief and sorrow. My friend was so torn and numbed by the devastation, he had to sit down dazed. The scene there was so surreal, just 4 hours' flight away from Singapore. There's been a strong aftershock, measuring 6.4 on the Richter scale. It flattened 270,000 homes in addition to the 4.7 million already destroyed by the quake on May 12. That's well more than the number of homes in Singapore. Death toll is expected to rise above 80,000 now. But there is hope yet as volunteers continue to ferry supplies, medical aid and tents to the victims. 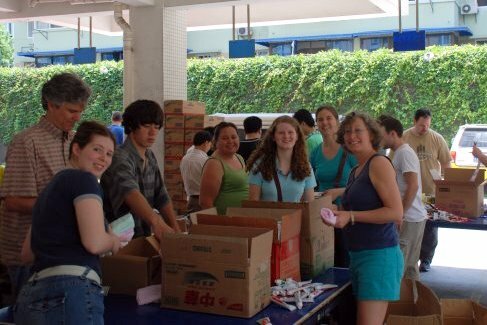 US$3,000 can fill 3 vans with daily necessities, teddy bears and stationery for children. Here's an update from the Singapore Red Cross on what's been done so far. 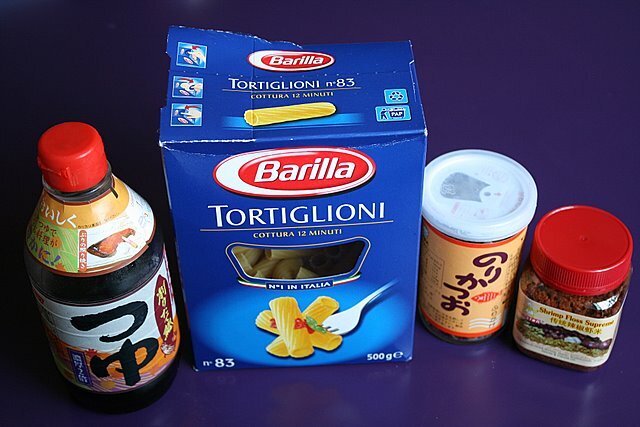 Here, as promised, are the ingredients to yesterday's pasta! You guys are good at reverse-engineering ingredient analysis! Indeed it is "hae bee hiam" (spicy dried shrimp floss sambal) tortiglioni with baby spinach. I also added some furikake and tsuyu for flavouring. 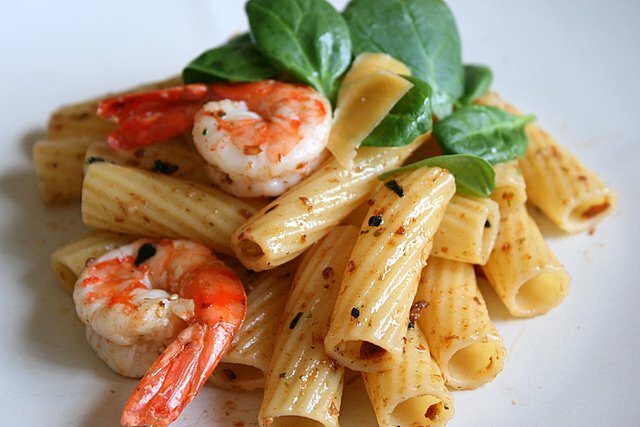 Some of you guessed prawn rigatoni with crustacean oil - and yes, that is how this dish was partly inspired. I'm sure you may have seen the many photos and raving reviews of the "Rigatoni Pasta Tossed in Crustacean Oil, Shaved Bottarga, Tiger Prawns, Seaweed and Arugula Salad" by Chef Anderson Ho. Since I have never been to his now-defunct restaurant Le Papillon, I don't know what it tastes like. But looking at his ingredients (seaweed, crustaceans, bottarga), I suspect his creation scores quite high on the umami factor. So I thought it would be fun to experiment with umami ingredients. I decided to make mine a hae bee hiam pasta with "crustacean oil" (from frying shrimp shells in oil), seaweed and tobiko instead of bottarga. How lovely the pasta would look bejewelled with bright little orange spheres, I thought. But no one else in the family would eat fish roe, so no go for tobiko, no matter how pretty it would look. In the end, the dish looked nice but failed in the taste department (for me anyway). I think I took too many shortcuts. The bottled hae bee hiam did not taste as good as fresh homemade ones (of course). I also severely underestimated the seasoning required for this thick but hollow pasta. Although al dente, it tasted somewhat floury in the centre. 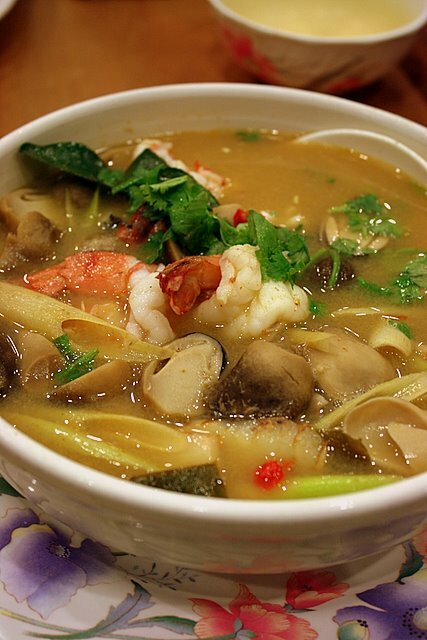 Next time I think I will boil it in dashi! If you are still curious, here's how I made it (approximate amounts used). I am a bit reluctant to post this recipe-in-progress as it needs some serious tweaking. Try this only at your own risk! 1 tablespoon "hae bee hiam" - should have used at least 3 tablespoons! 2. Shell, clean and devein prawns. Clean the shells too! 6. Turn off fire, add tsuyu and furikake to taste. 7. Drain pasta and toss in seafood mixture. 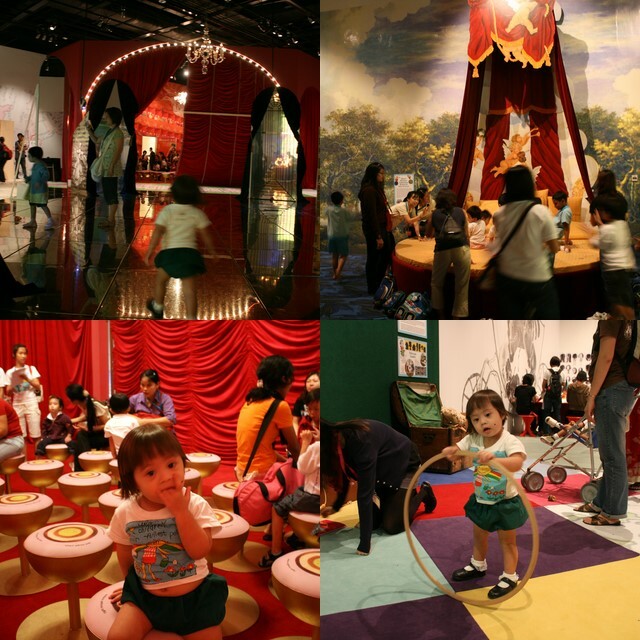 Yesterday Nadine had a school outing to the National Museum of Singapore, which has just started its first ever Children's Season (1 May to 6 July). She sure had a lot of fun running around. Which meant me chasing after her constantly, trying to keep her out of mischief! But exhausting as it was, the trip was very interesting - so here are some highlights. If you have young kids/siblings, you might want to check out the museum and Children's Season programmes for the June holidays. 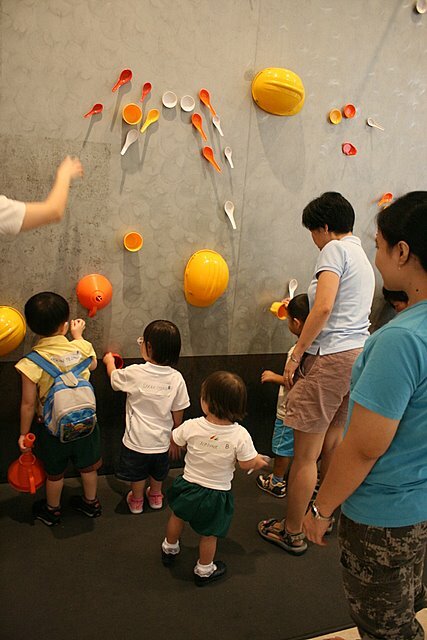 There is this huge metallic wall exhibit, with lots of colourful everyday items which are magnetised, so you can move them about and form your own "art". It's in the area facing the Concourse, just outside the Museum Shop. The kids loved this. The trip is the end-of-semester outing for many kids with disabilities from both morning and afternoon sessions at Rainbow Centre (Margaret Drive). 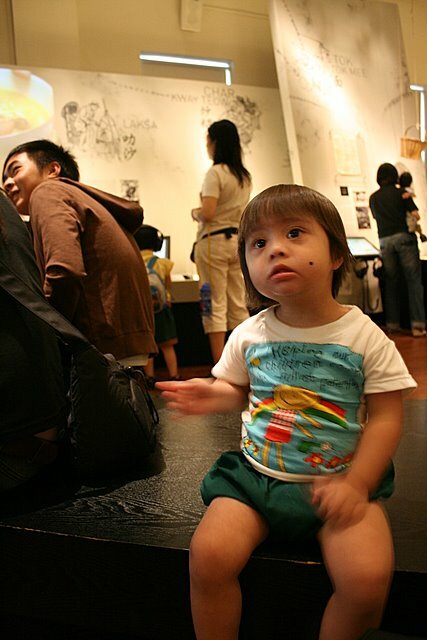 The museum had kindly waived admission fees for the children. 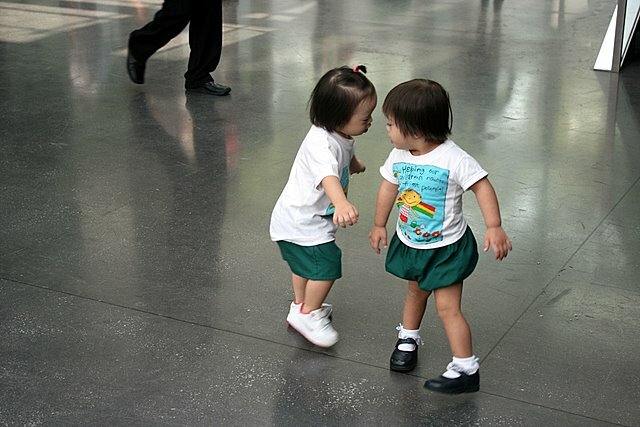 Here's Nadine (right) dancing around with her classmate. Nadine had a ball making friends with children from other classes that she had not met before, but she was also over-enthusiastic in greeting some of them! 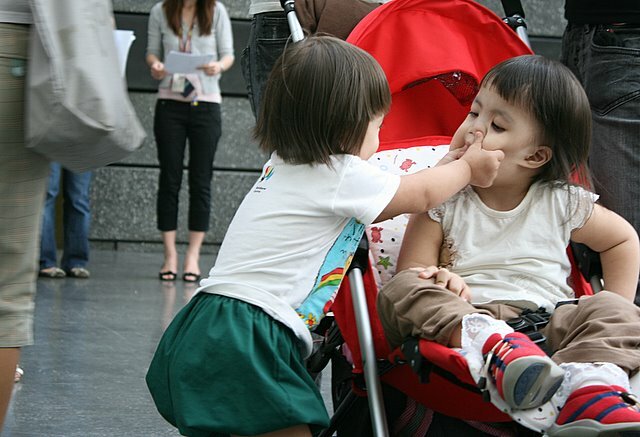 I nearly dropped my camera when I saw her doing this to the other girl! 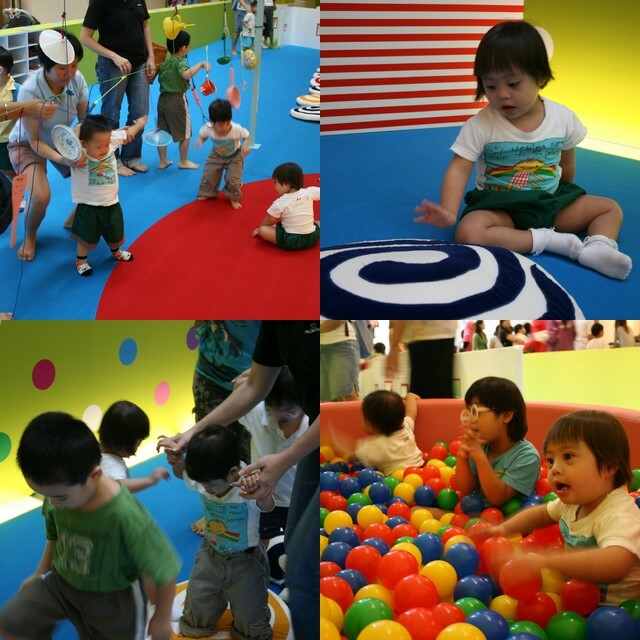 The Murmurs Playground at the basement is designed for toddlers up to 4 years old. 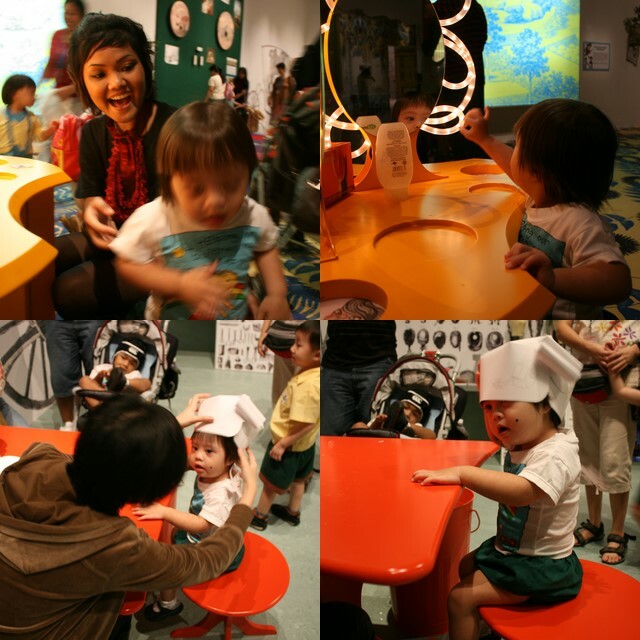 It encourages speech via play, using senses of touch, hearing and sight. There's a Musical Chef section with kitchen utensils strung up for kids to make noise with, tunnels for kids to explore, squeaky large circular cushions and the perennial favourite, the ballpool. Admission is free to this area. The award-winning Mozart interactive exhibit has 11 themed areas for children to compare life in 18th century Vienna versus their own. It's very hands-on. The kids got to try on period costumes and wigs, play with toys of the era, sit in a mock opera house, and even loll about on a huge canopy bed. But alas, no musical instruments to fiddle around with? Maybe I missed those. But yes, Mozart symphonies were playing in the background. Nadine at the makeup counter getting her beauty spot, and later a paper wig, which proves to be too big for her. 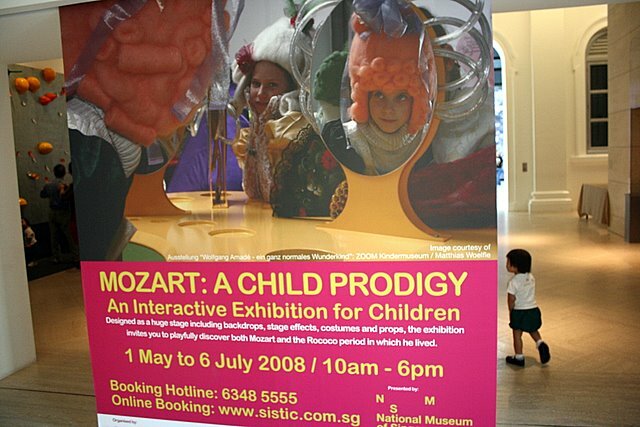 The Mozart exhibit is actually designed for kids aged 6-12 (those under 6 can enter free but must be accompanied by adult holding a ticket). Nadine who is not even two yet doesn't fully understand what it's all about but it was still a rich sensory and playful experience for her. We didn't get to see the whole museum, only selected parts. 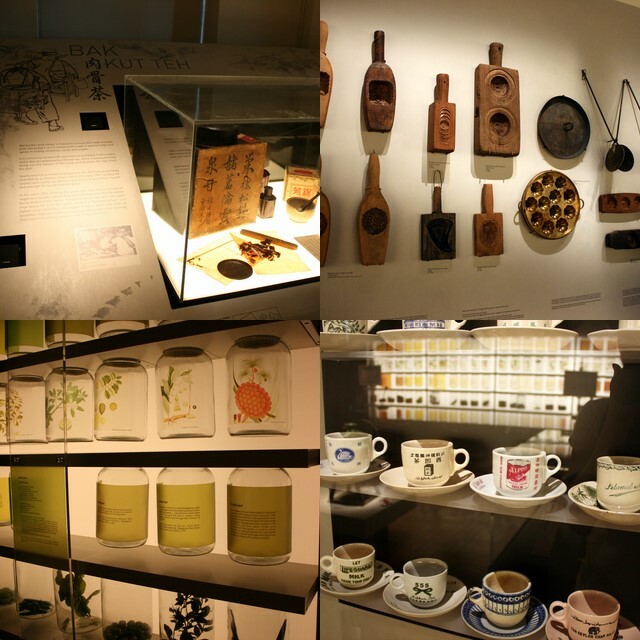 From the Living Gallery, we visited three sections - Food, Fashion and Film, all of which are quite small. 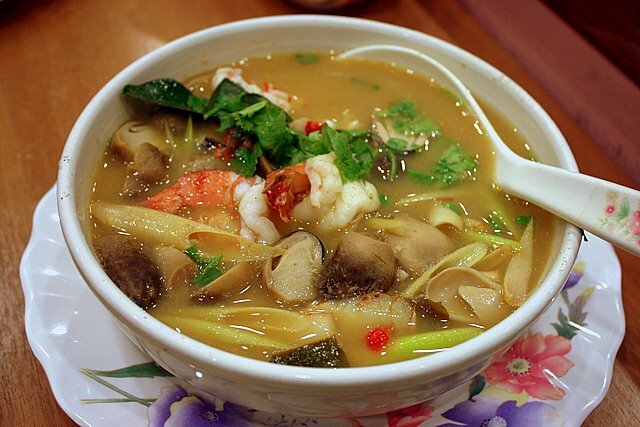 The Food section focuses on local street food and their origins, as well as herbs, spices and tools used in this region in the past. The Fashion section talks about shopping for an identity. 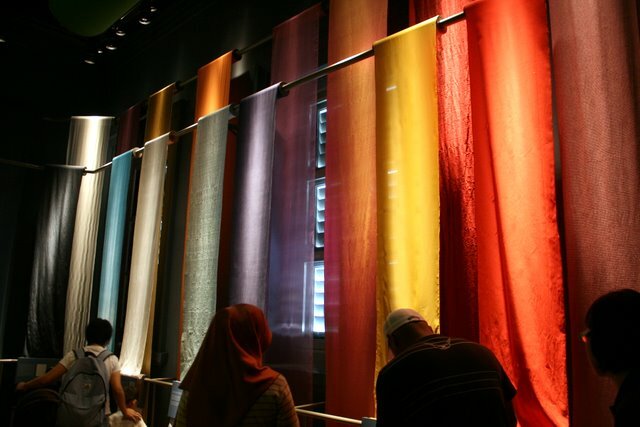 Glass showcases of women's dresses lead to an area with actual fabrics (see above) the children can touch and explore. Hmm, strangely only women's clothing is shown, did men not need to make fashion statements? 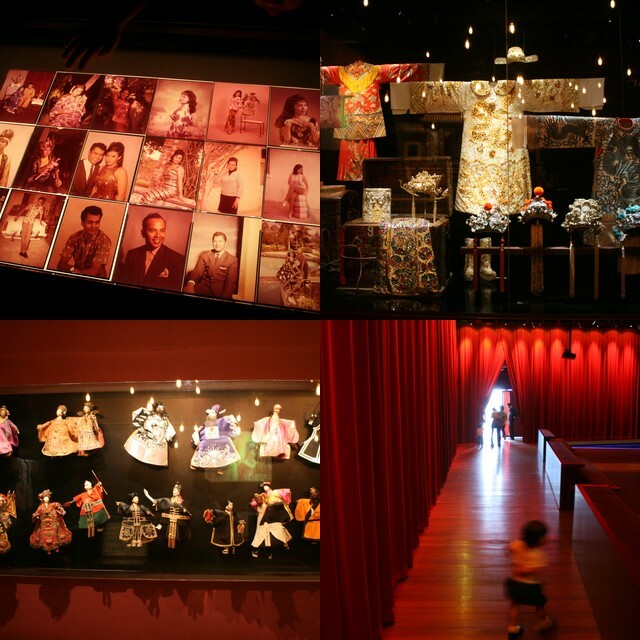 The Film and Wayang section features local cinema and its development - from Malay black and white movie stars to Chinese opera and puppets. It also has a small theatre showing snippets of classics (fans of pontianak movies, take note!). I have never been to the old National Museum before its massive renovation but the new place is certainly more sophisticated than I expected. We wouldn't mind coming back with the kids to check out the rest of the Children's Season (see website for details). Plus I've been wanting to try out Novus, the cafe at the museum. That's a food blog post for another day. I love sundried tomatoes and even more, sunblush tomatoes! But given that they are excrutiatingly expensive in my part of the world, I don't get to eat them that often. So imagine how pleased I was to find that Nigella (yes, again) has a ridiculously easy recipe for making your own sunblush tomatoes. She calls "moonblush tomatoes" as you leave them to dry overnight. She says she's addicted to making them and I think I'm going to be too. 2. 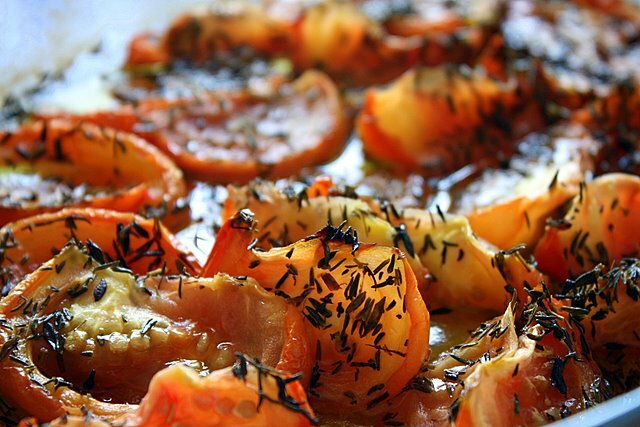 Cut the tomatoes in half and sit them cut side up in an ovenproof dish. Sprinkle with the salt, sugar, thyme and olive oil. 3. Put them in the oven, and immediately turn it off. 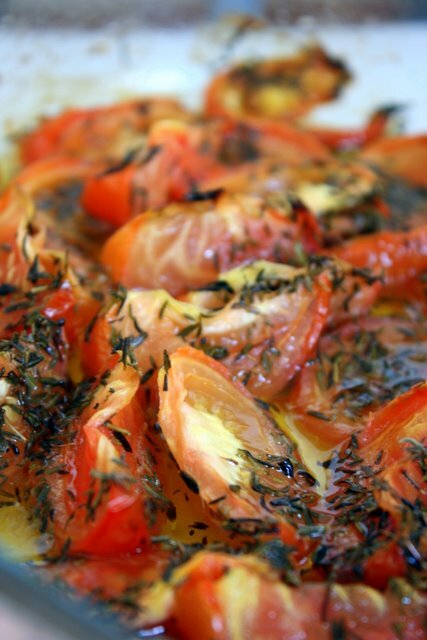 Leave the tomatoes in the oven overnight or for a day without opening the door. That's it! Personally, I find it's best to make this when you have just baked something and your oven needs to cool down anyway. Better use of energy! The next day you are rewarded with these! 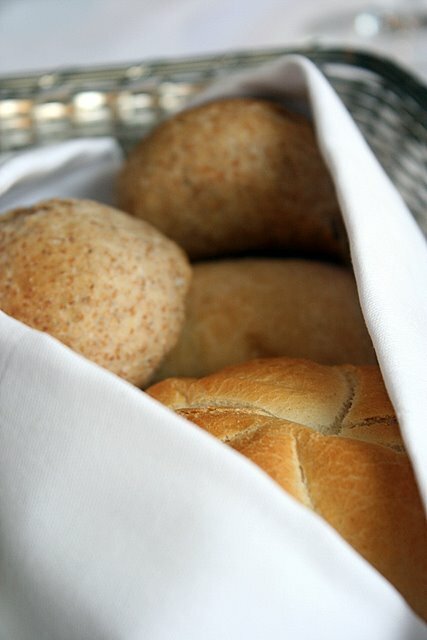 They will go great with pasta, salads, sandwiches, and even in frittata, soups and savoury tarts! 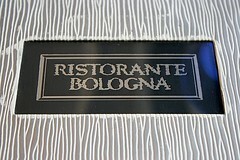 Hubby had a great experience with a weekday lunch at Ristorante Bologna, so he decided to bring the family today to try it as well. 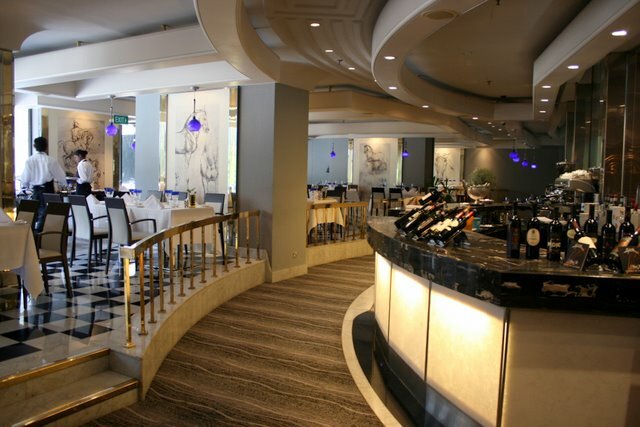 Their Weekend Italiano (12 noon to 4pm, Sat, Sun & public holidays) is slightly different though - you get six replenishable appetisers, one main course from the menu and a small buffet of desserts. 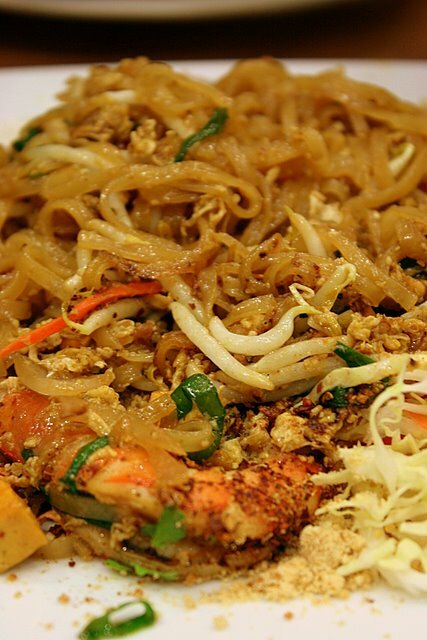 It's S$45++ per person but with the UOB card, one person dines free with every two paying. Works out to be S$30++, so it sounded like a good deal. We started with some warm bread. Nothing too fancy but not bad either - two wholemeal buns and one white dinner roll and one large spiral bun baked golden brown. They served these with olive oil and paste, but you can ask for butter if you prefer. The appetisers are presented on plates for sharing, not as individual portions. They served them in two rounds, three types at a time. 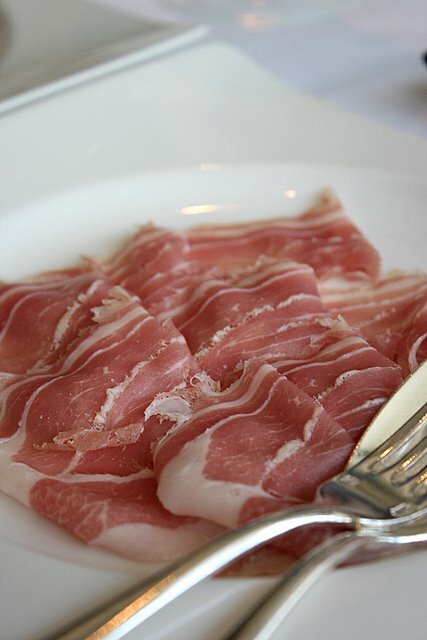 The parma ham came as generous, flowing slices like ribbons of coloured silk. 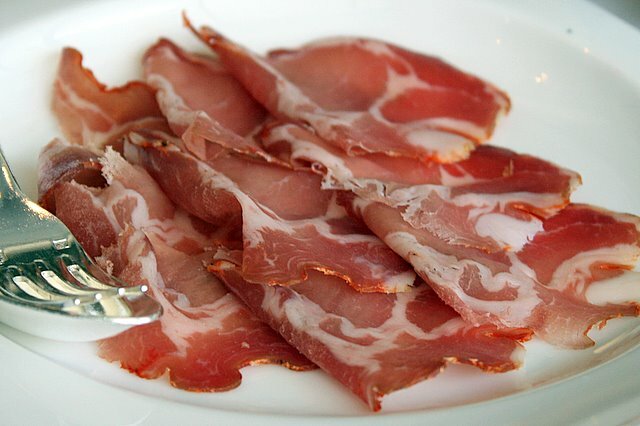 Now parma ham has this rather strong "piggy" taste, so no one touched this much except me. Nadine didn't like it either. 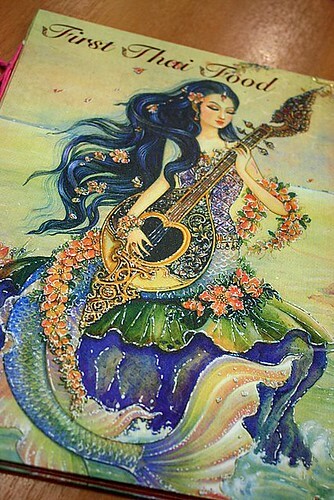 But it looks so pretty. 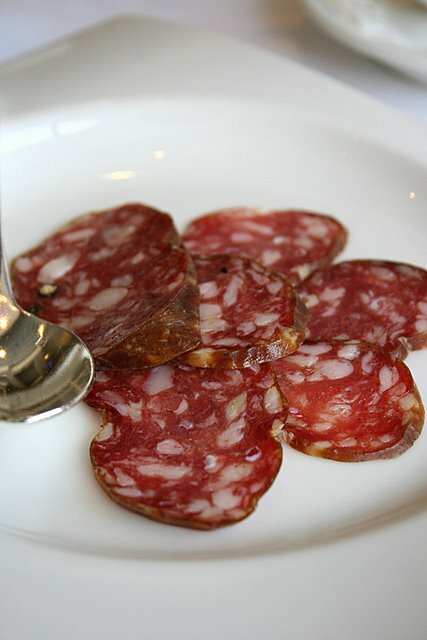 Now this little piggy went to the market and became salami. Nicely salty and went well with the bread. Hmm, should have asked for more of this! 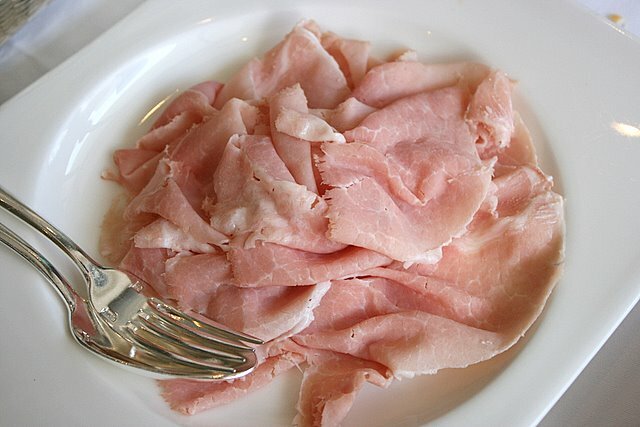 Actually I liked the coppa ham best of all. It's spicy but not overpoweringly so. The chili heat is just lightly discernible. 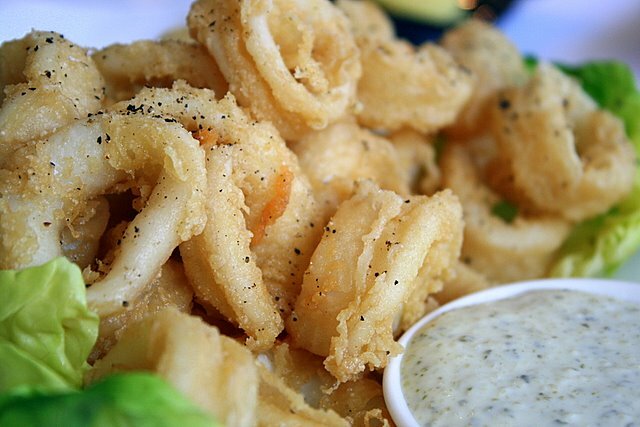 Calamari is always a welcome snack. 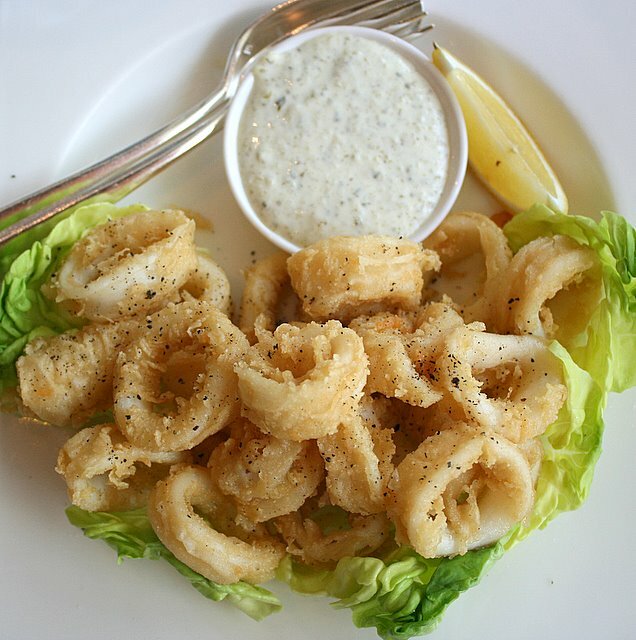 Fresh squid in crispy batter, sprinkled with freshly ground black pepper and served with creamy dip. Decent portion for three. 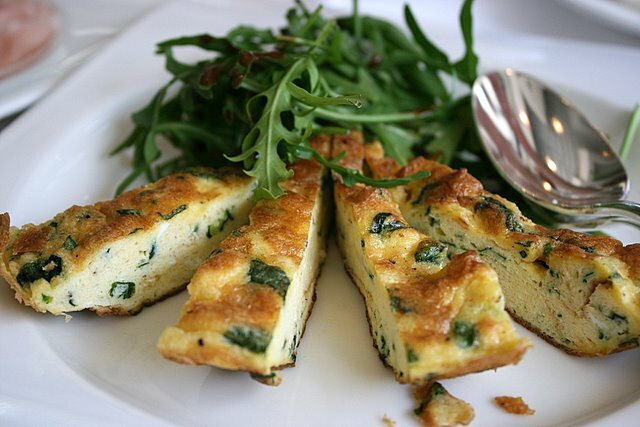 Frittata, or Italian omelette, with spinach, I believe. A little too dry for my liking, but hubby seemed to like it, so we had extra portions of this. Served with arugula and balsamic vinegar dressing. Think you've seen enough of ham yet? Nope, here's some cooked ham to round up the appetisers. Very thinly shaved, somewhat ordinary tasting but no less delicious. Nadine still didn't like this though. Sigh. On to the main courses, and this is where the bigger disappointments lay. Hubby had very good pastas on the weekday, and remembered the clam pasta was good. 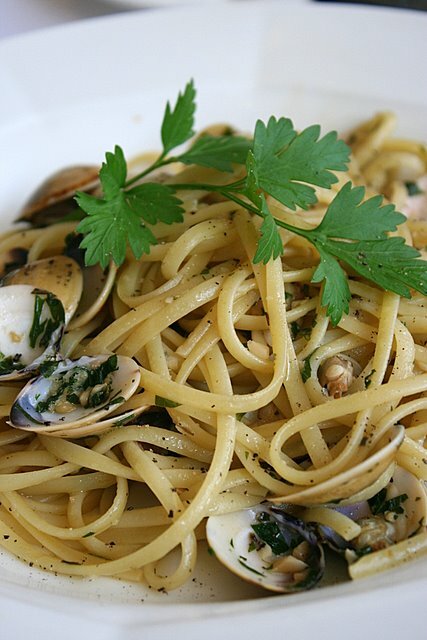 So even though he's not fond of clams, he chose the vongole linguini with white wine and garlic (also for my tasting benefit, I love vongole). But alas, this weekend version was not the same! It really did not taste like much. The clams too, looked more shrivelled up than meaty. My veal medallions fared just slightly better, although I still had to send it back to the kitchen. The center was still cold and raw (not bloody, mind you, but raw, and unchewably so) although it was seared well on the outside. Extremely tiny portion too. 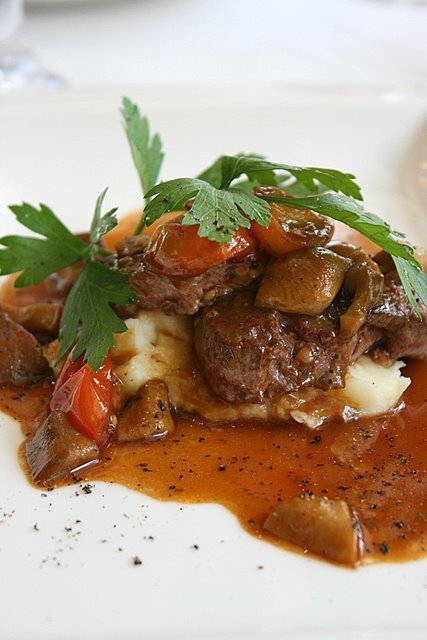 Lovely mash and mushrooms though. Mum-in-law's spaghetti carbonara. 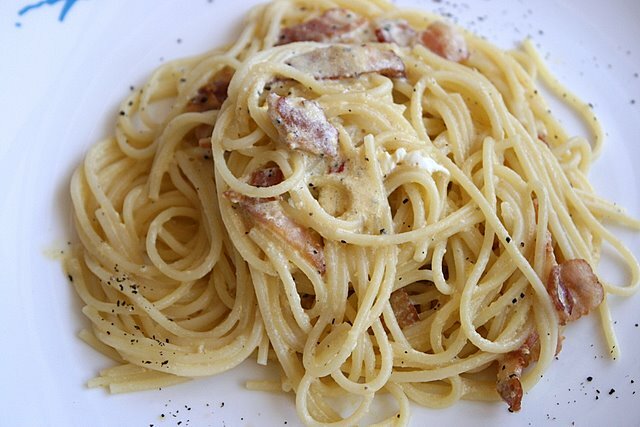 The lightest, most dry carbonara I have ever come across. However, MIL enjoyed it as it was very light. Nadine too ate this but rejected the bacon bits. How odd. Children with Down Syndrome normally prefer stronger flavours as the inherent "low muscle tone" also applies to their tastebuds. She does like salty stuff, but I guess porky ham and bacon are not her thing. Still, who knows? Kids hate something one day, and love it the next (and vice versa). Desserts looked nice when we walked in. A small selection but competently done. Not all of them were Italian though. Let me list what I remember: tiramisu, chocolate mousse, yogurt cake, apple pie, tarte alla ricotta (cheesecake), chocolate truffle cake (nice), panna cotta, strawberry mousse, strawberry shortcake and lemon meringue. However, most of them were very sweet and that made them taste alike. After a while, we just went for fruits instead. Oh, coffee and tea are included in the meal - nice ones too. 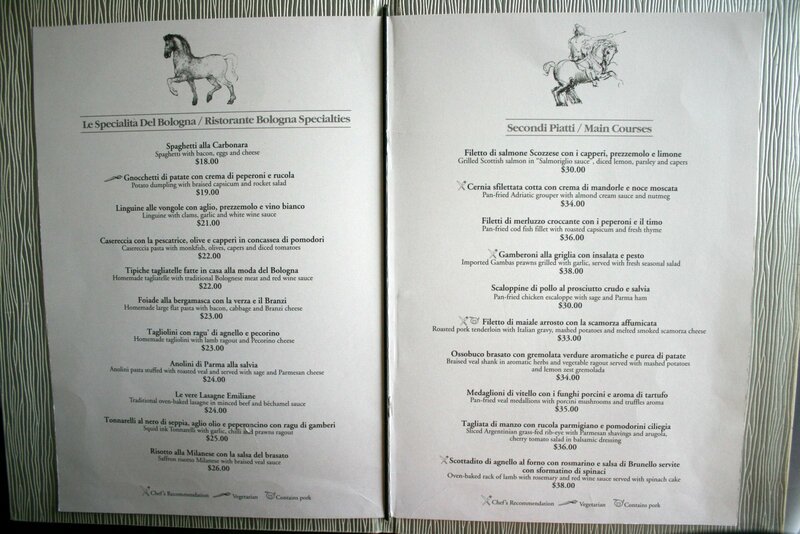 Hmm, so antipasti OK, mains disappointing and desserts middling. It seems it's a better deal on weekdays. 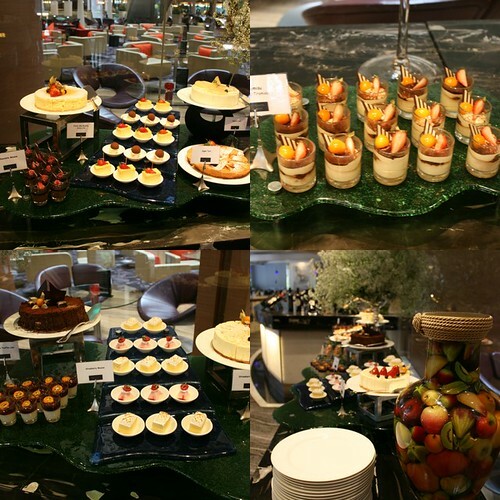 Hubby mentioned that there is a carvery, pasta stations and a wider array of desserts too. Maybe the chef is also different on weekends (maybe the sort that's just a weekend Italian?). Perhaps that is why we were the only table occupied for most of the time. I also notice their website says the restaurant is closed Sundays. Hmm! But I do have to commend the staff for exemplary service. Because we had kids with us, gave us extra paper napkins and even a finger bowl to clean dirty hands. They were genuinely friendly, discreet, professional and very attentive. Hmm, now should I come back on a weekday? I swear I could live by Nigella's recipes alone. Thumbing through Nigella Express, I found this delicious and nutritious dish that doesn't even need 10 minutes of preparation and cooking. 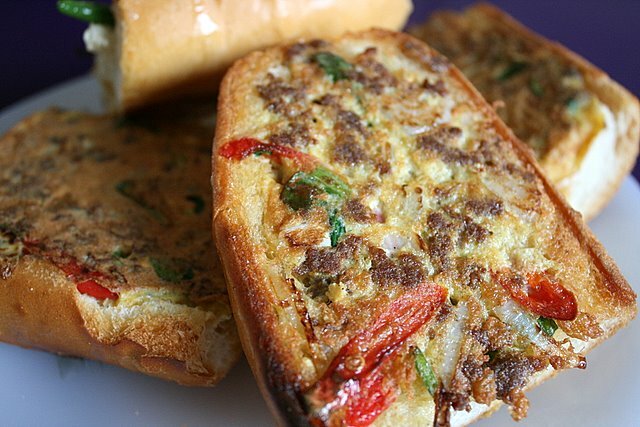 Perfect for lazy weekends or a quick weeknight dinner. The salmon is best enjoyed well-seared on the outside with generous amounts of that sweet, glossy glaze. Full recipe is available online, but I'm presenting it here with my notes in pink. 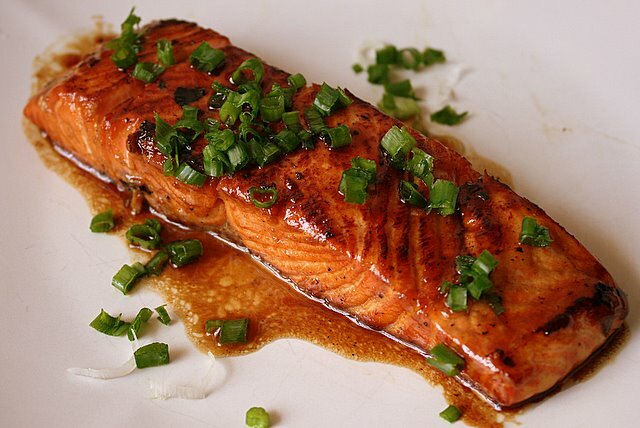 Mix the mirin, brown sugar and soy sauce in a shallow dish that will take all 4 pieces of salmon, and marinate the salmon in it for 3 minutes on the first side and 2 minutes on the second. Meanwhile heat a large non-stick frying pan on the hob. Cook the salmon in the hot, dry pan for 2 minutes and then turn it over, add the marinade and cook for another 2 minutes. Remove the salmon to whatever plate you’re serving it on, add the rice vinegar to the hot pan and warm through. Pour the dark, sweet, salty glaze over the salmon and top with the spring onion strips. 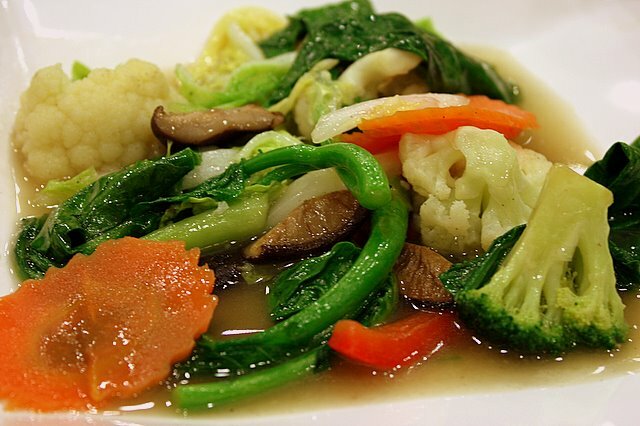 Serve with rice or noodles as you wish, and consider putting some sushi ginger on the table, too. 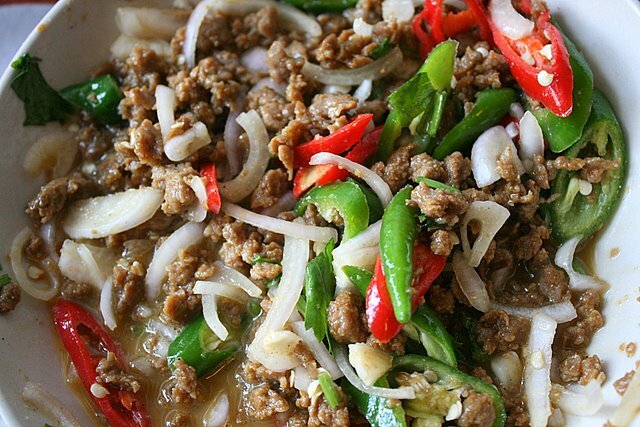 We added lots of shichimi togarashi Japanese chili powder for that extra spicy kick! 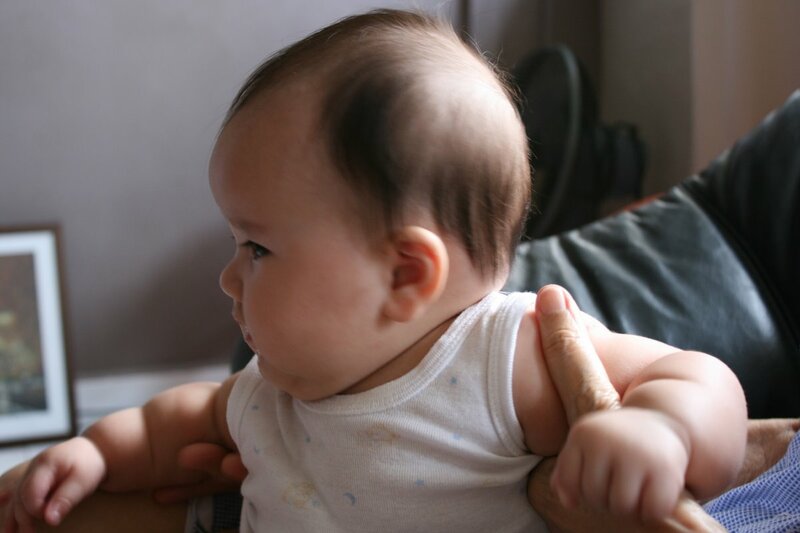 Yes, the little one is five months old today. It also marks my fifth month of sleep deprivation. So excuse me while I take a bit longer today to figure out this weekend's (and next week's) posts. Ah, where to eat and what to cook? And Corinna, if you're reading this, hope your parents feel better soon! Come see the baby!